Have you ever posted a photo or some artwork on the Internet, only to find it all over the place within a week, with absolutely no credit given to you? 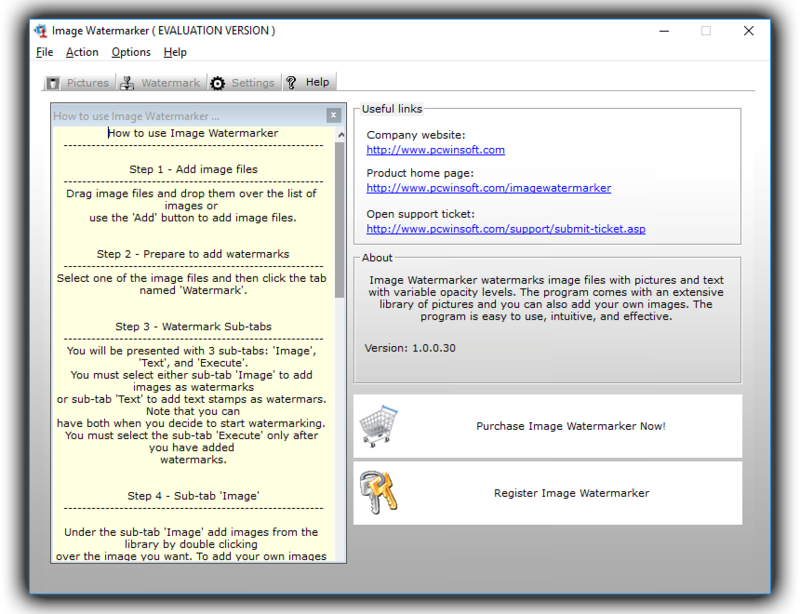 It can be maddening, but it can also be avoidable if you pick up today’s discount software promotion, Image Watermarker! Need to watermark a huge collection of photos? Not a problem with Image Watermarker, which features support for batch processing. 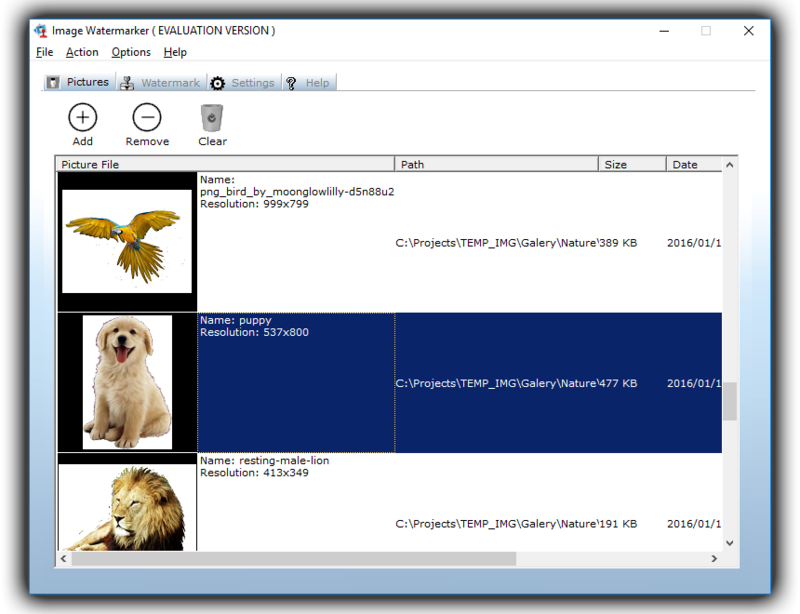 Best of all, Image Watermarker offers support for BMP, JPG, PNG, GIF, and TIFF file formats, so you’ll be ready to go without needing to convert files first! After you purchase Image Watermarker it may be used indefinitely. Image Watermarker is licensed per user, so if more people are going to use Image Watermarker you will need to purchase additional copies. 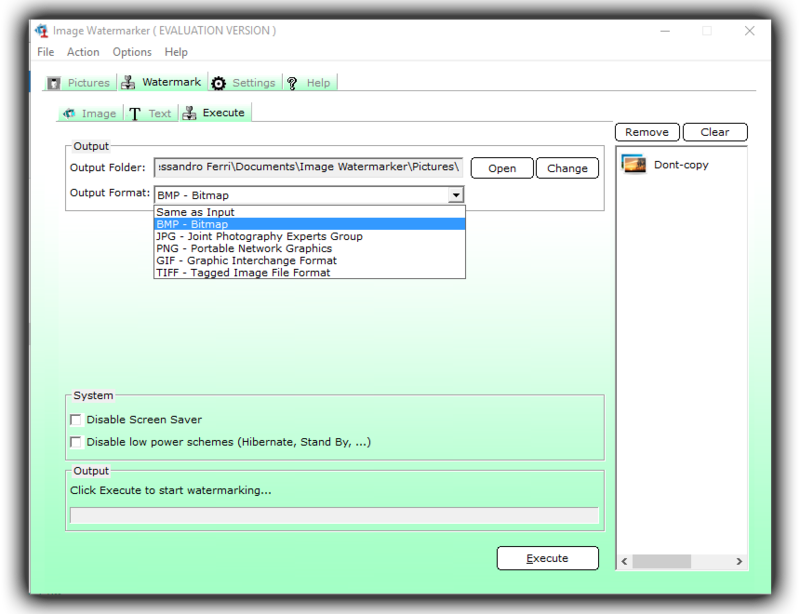 Each license allows installation on 10 computers, and Image Watermarker may be used at exactly the same time on each of them. Constantin Florea @Steve User, The promotion lasted for 24 hours on 23rd of May 2017. I believe you are looking at the daily deal email we sent on 05/23/2017. I checked and the Image Watermarker promotion is not mentioned in today's (24th of May 2017) daily deal email. Steve User :( just seen the email thank you for clearing this up. Sandra Chung I checked it within the allotted 24 hours, so that doesn't quite work. Seeing as the time stamp on the received/sent email (6:24pm, May 23) and it was May 24 4:30pm that I went to get the deal, under the 24 hours. Whatever.. I'll wait to see if to comes back around. Alex Ferri Just a few orders for those saying this is about tricking users in any ways I just want to say PCWinSoft was never about fooling the user in any way. The program was offered for free and every one that registered might as well have gone through the pay,ment process. The software works. It serves to its purpose and the registration system is designed for fast KEY retrievals in case of new PCs or reformatting. It may seem complicated but it isn't. In fact many users think it is great when it is time to register software at a new PC. there is no need to contact the vendor or have the original purchase e-mail message with a key that is paired with a file you have to install on the application folder. It is a simple process of requesting the KEY to be sent to your e-mail just like you are very used to by repeating this procedure in forums, social network services, and so meny other Internet based services that work like our registration process works. And for those saying the software is offered only to harvest e-mails that is absolutely not true at all. At the first e-mail you receive from us the first thing you will see is an unsubscribe link. PCWinSoft is not shady. PCWinSoft does no evil in anyways. You should feel ashamed of yourself to post such untruthful comments like they mean nothing. Rob User Despite my message from last Saturday, made during the promotion for this software, no one has ever responded as to why this software does not work? It's primary function, if not it's only function, is to watermark an image. Great, that would be useful and something I would buy into. I have tried several different file types and there is no way I can use an image stamp, from the sub-tabs or add any text. They are inactive, greyed out and therefore totally un-usable. So why, and is there anyone who can answer the problem? Surely the intention is to promote a purchase ultimately? The reason the controls are grayed out is because first you need to select either image or text watermark and then click the button 'Add' on the top right part of the user interface, and then the program will add a watermark layer and will enable the controls. You can use the same procedure to add as many watermarks you wish. Hope to be helpful. Makes Your Photo Folders Make More Sense!